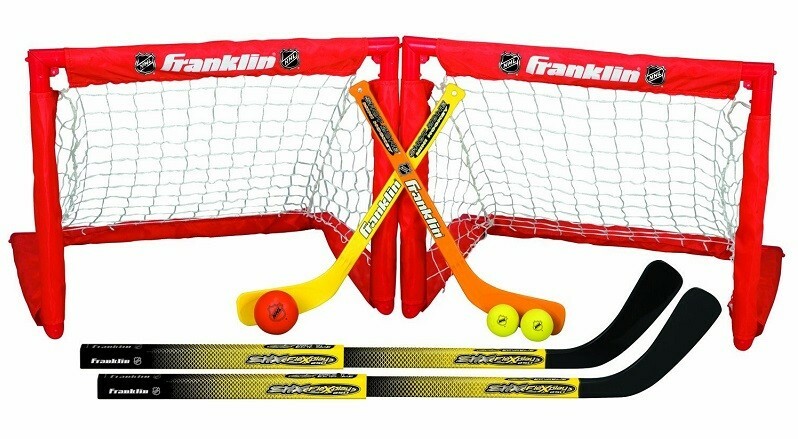 From the street to the family room, this set will make sure you're always ready for a hockey game! 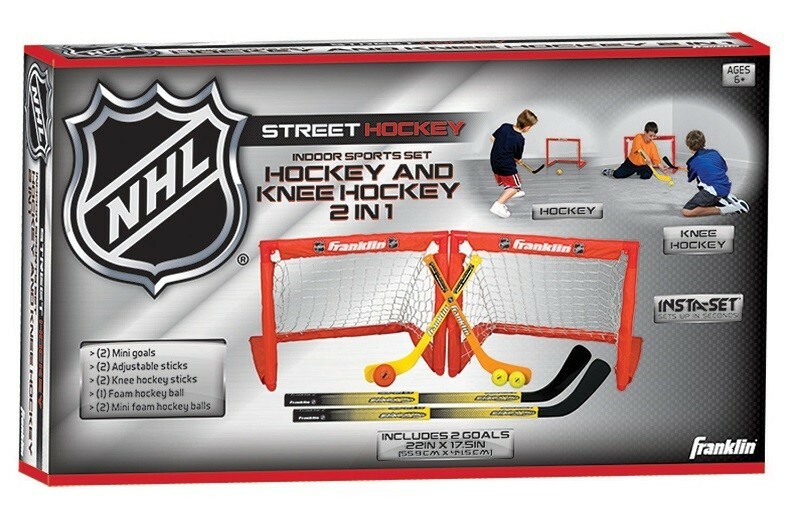 This 2-in-1 street and knee hockey set comes with two goals, 2 adjustable hockey sticks, 2 mini hockey sticks, a 65mm street hockey ball, and two 50mm foam knee hockey balls. The 22 by 17.5 inch Insta-Set goals ensure you can start a game at a moment's notice. 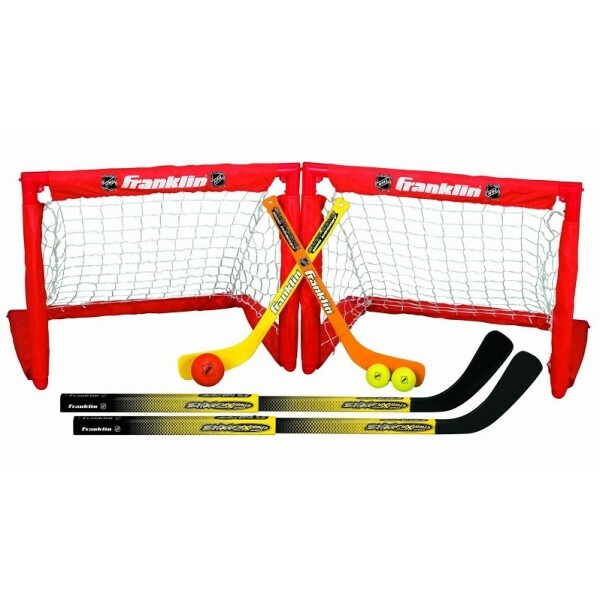 It's the perfect way to keep your Mighty hockey player in the game! For more great sports gear, visit our Sports Equipment section.